The Island of Hawaii experiences thousands of earthquakes each year; most are so small that they can only be detected by instruments, but some are strong enough to be felt, and a few cause minor-to-moderate damage. Most of Hawaii's earthquakes are directly related to volcanic activity and are caused by magma moving beneath the earth's surface. 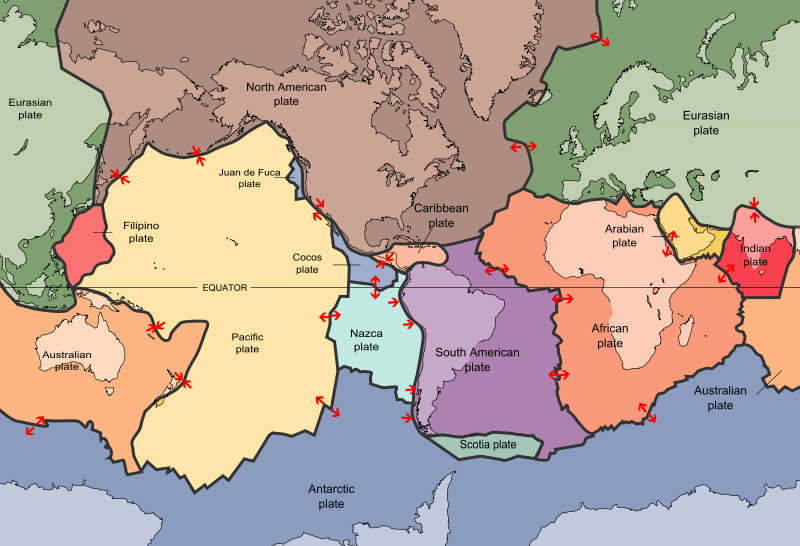 Earthquakes may occur before or during an eruption, or they may result from the underground movement of magma that comes close to the surface but does not erupt. A few of the island's earthquakes are less directly related to volcanism; these earthquakes originate in zones of structural weakness at the base of the volcanoes or deep within the earth beneath the island. The Hawaiian Islands are at the southeastern end of a chain of volcanoes that began to form more than 70 million years ago. Many of these volcanoes formed islands that have subsided and eroded beneath sea level, and some of the old volcanoes probably never reached sea level. Each Hawaiian island is made of one or more volcanoes, which first erupted on the sea floor and only emerged above the ocean's surface after countless eruptions. The islands owe their existence to a "hot spot" in the Earth's mantle that has changed location only slightly over the past 70 million years. This hot spot is located beneath the southeastern part of Hawai`i. The largest and most southeastern island of the chain, Hawai`i, consists of five volcanoes. Kilauea, Mauna Loa, and Hualalai have erupted in the past 200 years. Lo`ihi, the youngest volcano of the Hawaiian Volcanic Chain, is still about 1,000 meters beneath the ocean's surface. 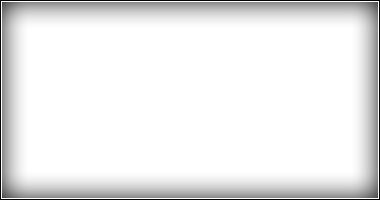 The name Lo`ihi means "long" in Hawaiian and was introduced in 1955 to describe the elongate shape of the seamount. East Maui Volcano, commonly known as Haleakala, on the island of Maui, is the only other Hawaiian volcano to have erupted since the late 1700's. 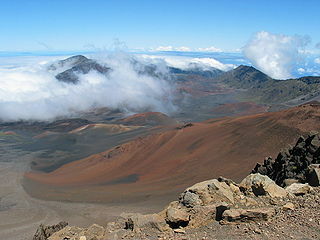 Surrounding and including the crater is Haleakalā National Park, a 30,183-acre park, of which 24,719 acres are wilderness. Haleakala National Park was established in 1916 as part of Hawaii National Park - within one week of the creation of the National Park Service. Haleakala is a 10,023 foot tall volcanic mountain crater, nicknamed "the Valley Isle" for the narrow plain between Haleakala and the West Maui mountains. 35 miles of hiking trails allow for exploration of Haleakala Crater. If weather is favorable during your visit to the summit area of Haleakala National Park you can see three other Hawaiian islands from the top of the mountain. Hilo is the gateway to the Hawaii Volcanoes National Park, located 45 minutes to the south of Hilo. The entrance to the park is in the town of Volcano, roughly 40 minutes drive from downtown Hilo. Many people can spend several days exploring all that the park has to offer. There are a number of excellent hikes, showcasing most of the flavors of Hawaiian geological activity. Of course, the thing that most people come to see is the active flow zone of Kilauea. Entrance fees are consistent with other U.S. National Parks.